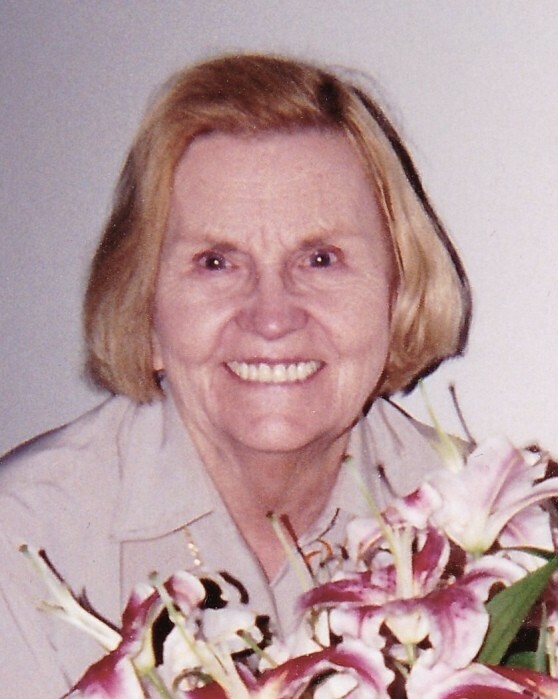 Mary A. Sweeney of Red Bank, NJ passed away on January 22. She was 98, the widow of Bernard T. Sweeney and the beloved matriarch of a family of six children, 10 grandchildren and 10 great grandchildren. She was a kind and gentle woman with a wonderful sense of humor, whose strength and positive outlook always inspired her family and friends. Mary, one of four children, was born and raised in Manhattan by her parents Patrick J. and Catherine T. Walsh Kenneally, who came from Ireland. A devout Catholic, she graduated from Holy Name Grammar School, Blessed Sacrament High School, and Grace Institute and then worked as a secretary. In 1943, she married Bernard, known as Ben, the love of her life, while he was serving in the U.S. Army Air Corps during World War II. In 1950, they settled in East Paterson, (now Elmwood Park) NJ, where they raised their children and were active in their church and community. Mary was a trailblazer. In 1965 when her youngest went to school, Mary began working full time, and taking college courses nights and weekends. Balancing family, work, her studies and a little time to play bridge, she earned a Bachelor’s and a Master’s Degree in Accounting at William Paterson University. Mary was Bursar of Paterson Catholic High School for more than 10 years and then became Assistant Superintendent for Business in the Wanaque, NJ school district for another 10 years. In 1979, Mary and Ben moved to a house on Lake Tamarack in Stockholm, NJ, where they taught themselves to sail. She retired in 1989 and the retired couple split their time between Palm Beach Gardens, Florida and Lawrenceville, NJ. Wherever they lived, they frequently hosted large gatherings of their family and friends. After Ben passed away in 2001, Mary divided her time between Florida and Monmouth Beach until she moved to The Atrium at Navesink in Red Bank in 2011. There she enjoyed her friends, music, painting class, river views, boat rides and her family. Mary is survived by her children: Catherine of Monmouth Beach and New York City, Bernard T. (Donna) of North Ridgeville, Ohio, Jane (Andre) of Lambertville, NJ, Neal (Mary) of Atlanta, Georgia, and Martin (Lisa) of New York City along with her grandchildren and great grandchildren, her brother in law James Sweeney of Avon by the Sea, NJ and legions of nieces and nephews in the Sweeney, Kenneally, Callahan, Kline, and McDonnell families. She was pre-deceased by her daughter Mary Johnson and by her siblings, Catherine T. (the late Patrick) Callahan, Joseph (Jean) Kenneally and Margaret P. Kenneally. Her family will be forever grateful to her aide Comfort Bonsu and to the staff of The Atrium, where she lived for more than seven years. A private Mass was held at The Atrium and the family is planning a celebration of Mary’s life this summer.